In a very creative photographic collection Charles Lindsay has brought life to this unique aspect of our game in a book called “Lost Balls-Great Holes, Tough Shots, and Bad Lies”. Through his camera lens Charles Lindsay captures the wild, the innocent, and the five-minute shuffle that accompanies all of these often futile searches. He includes images of domestic animals, wild animals, and a few upright animals against dramatic topography from Ireland to Idaho and everywhere in between. As a bonus, Lindsay peppers it with some wonderful quotes you can repeat in your Saturday group. This is the ultimate coffee table book for your home or office. Every golfing friend who picks this up will give you that twisted, knowing smile as they leaf through an assembly of engaging photos that depict disturbingly familiar circumstances from notable golf venues around the world. Whether you want to take sentimental memory walk through a recent trip across the pond or help planning the trip of your life to the home of golf next summer, James Finegan’s “Scotland-Where Golf Is Great” belongs on your coffee table. This is the seminal work of the most informed American golf writer on the subject of golf in the British Isles. Since his first visit in 1952 he has traveled the to Scotland over 30 times playing the great and the unknown courses across the length and breadth of the country. With his wife Harriet he spent a dozen summers renting a flat overlooking the splendor of St. Andrews and played the Old Course more than 100 times. 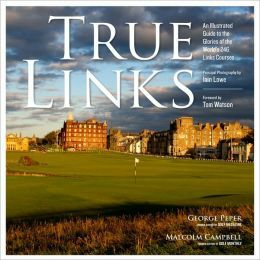 A low single digit player he has developed a keen understanding of the nuances and pleasures of links golf in the old country and shares it with the rest of us in this fine book. His writings herein on the golf courses, accommodations, and sights of interest in Scotland are second to none. 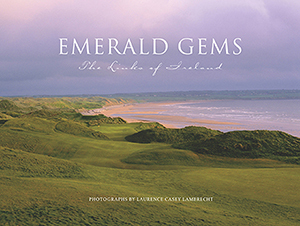 The presentation is further embellished by the breathtaking golf course photography of Laurence Lambrecht (author of Emerald Gems) and the images of sights of interest by Tim Thompson. Through his lens you can experience the uniqueness of the golf experience of over 90 courses in Scotland. Finegan takes you on a counterclockwise tour that begins at the Kingdom of Fife with St. Andrews and Carnoustie, meanders north to the gems of the Scottish Highlands from Cruden Bay to Royal Dornoch, back down the west coast to the remote island outposts of Machrihanish and Machrie, on to west coast treasures of Loch Lomand, Royal Troon, and Turnberry, and finishing with the East Lothian Coast home of North Berwick, Gullane, and the storied Muirfield Links. An invaluable extra for trip planning, Finegan includes experienced recommendations of places to eat and places to stay. His reviews take you right down to what primo room to request and what delectable dish to order. Your coffee table is beckoning for this one. If this book is within reach of your most comfortable reading chair you will find yourself leafing through it regularly to relive the grandeur and excitement of the links experience. Walter Iooss is one of the most celebrated sports photographers in history. As their senior sports photographer he has contributed over 300 Sports Illustrated covers to the magazine over his illustrious 40 year career. This book is a compilation of over 200 black and white and color images that catalog the personalities of the greatest players in golf in the modern era. In an arena where shutter clicks are verboten during a player’s swing, Iooss somehow stealthly captured the swings of the greatest players in the game in full action. 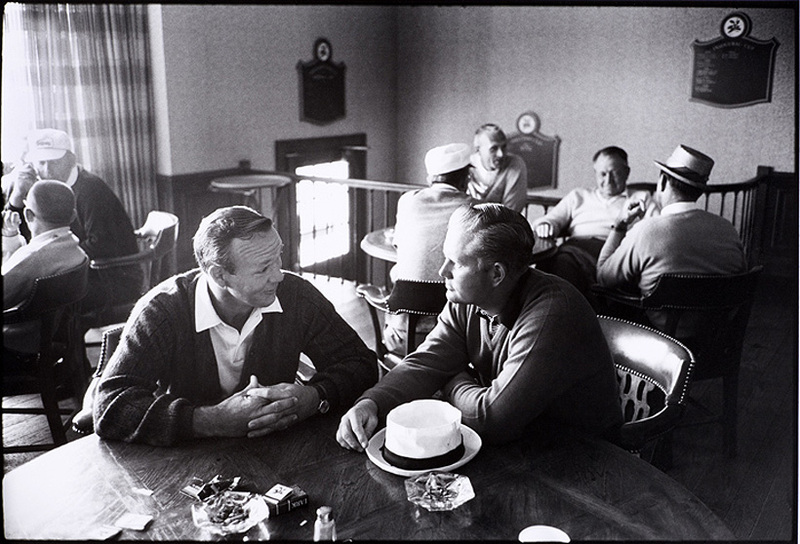 Hogan, Palmer, Venturi, Chi-Chi, Nicklaus, Trevino, Watson, Miller, Crenshaw, and Tiger-they are all here and so many more. The common denominator is images of players-their swings, their personas, their unfiltered emotions. In these photos Iooss captures the drama of the moment as well as the nature of the man in the heat of competition. With his personal collection, Iooss should have his own room in the USGA museum in Far Hills, New Jersey. As you look through this book you cannot help but shake your head, time and time again, saying to yourself, “I remember that picture, I remember that look”. It is like a personal bit of time travel for those of us who have religiously followed the game for so long. 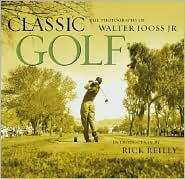 Dan Jenkins said, “In this splendid book, Walter Iooss makes the sport of golf look as colorful and thrilling as it actually was in the second half of the twentieth century”. If you can find this book you should add it to the stack under the coffee table in your family room. You will find yourself picking it up regularly for another joyous walk down memory lane. Classic Golf-The Photographs of Walter Iooss Jr.
Laurence Lambrecht is one of the most accomplished golf photographers out there and this book is a seminal work on fine collection of links courses in the Emerald Isle. A coffee table book the size of your coffee table features images and descriptives of every one of the 47 links courses in Ireland. The book organizes the courses by geographic sections of the country so you can get a good sense of proximity of each of the links offerings around the country. Every course has a number of stunning photographs as well as an erudite descriptive of the course by a knowledgeable expert familiar with the course. These supporting text entries are from the hands of people like Pat Ruddy, David Feherty, David Davies, Ivan Morris, and others and they really embrace and enhance the presentation of each course. Besides being a nostalgic display book for your family room that you can thumb through from time to time, this would serve as a travel resource on links golf in Ireland. This book along with James Finegan’s “Emerald Fairways and Foam-Flecked Seas” is all you need to plan a memorable golf trip with your buddies to Ireland. You can buy the book from Larry Lambrecht’s website for around $90. He also has a fine collection of related prints, calendars and note cards to choose from.